Daniel Sempere is 10 years old when his bookseller father takes him to a hallowed location: The Cemetery of Forgotten Books. Daniel is there to pick out a book that he will be responsible for for the rest of his life. Wandering among thousands upon thousands of forgotten books Daniel spots one that is meant for him. In fact he feels that the book picked him rather than the other way around. 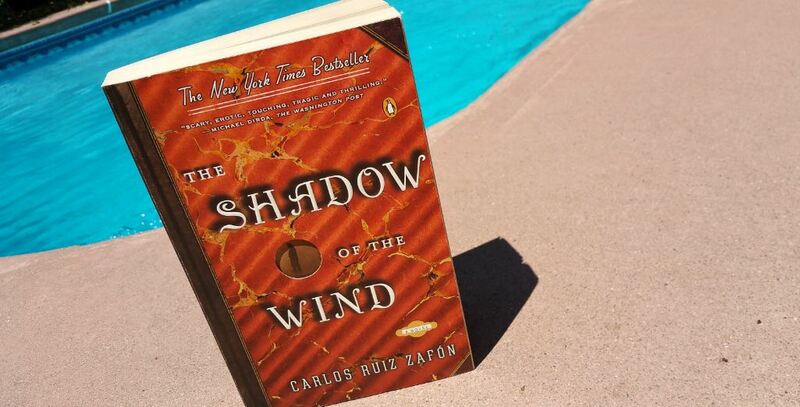 That book: “The Shadow of the Wind” by Julian Carax changes Daniels life. That night Daniel reads “The Shadow of the Wind” and is absolutely enthralled. He becomes nearly obsessed with finding Julian Carax and finding more books written by Julian. Over the years, Daniel uncovers information about Julian but he also finds himself, his father, his friends and others being drawn into the mystery, with sometimes disastrous results. There are only a few Carax books left in the world (all of them hidden in the Cemetery of Forgotten Books, placed there by Nuria Monfort many years ago). All the others have been acquired by a mysterious faceless man, who burns every copy he acquires. This man is Lain Coubert, the name of the devil in “The Shadow of the Wind”. Very intriguing. “The Shadow of the Wind” is set in Barcelona between the time Franco came to power in 1936 until 1966. During much of this time, Spain was in turmoil and the advent of World War II just added to the misery. Citizens of Barcelona who had great wealth before Franco , were now forced to move away from Spain and many citizens suffered appalling conditions, torture, and death. One such wealthy family, the Aldaya’s, lived in a palace called “The Angel of the Mists”. There Julian, when he was a teenager, met and fell in love with Penelope Aldaya. Unfortunately, this was a doomed love ending in the pregnancy of Penelope which forced Julian to leave Spain (to Paris, France) to escape the wrath of Penelope’s father. Penelope was supposed to go with Julian but she never showed up. Unknown to Julian, nine months after he left, Penelope was dead, as was his child. Years later, Julian returned to Barcelona only to, apparently, die the same day he returned. Daniel spent years piecing Julian’s story together with the help of his best friend Fermin Romero De Torres (a transient who Daniel’s father gave a job to in the Book Store) and another bookseller, Don Gustavo Barcelo. Barcelo offered to buy the book shortly after Daniel found it, but, Daniel refused since it was his book to care for. Early in the story Daniel fell in love with a magnificent fountain pen. It turns out that that pen, at one time, also belonged to Julian and at the end of the book Daniel, in what he thought was a dream, gave it back to Julian. When Daniel woke up, the pen was gone. “The Shadow of the Wind” caught my attention at Borders in Pleasanton when I read the back cover. Although it is out of my usual genre, I love to read about books. The story seemed genuine and interesting. This is a tremendous book that could become a classic.